To book the hall, please contact our booking secretary Bridget Purvis directly on 01600 715 620 or purvisnpurvis@hotmail.co.uk , do not use the orange contact tab in the bottom RH corner of this screen as it is not linked to the hall bookings & may not reach us, please use the black & white rectangular buttons below to call or email Bridget directly. Please note to secure your new booking the signed completed booking form & deposit must be with the booking secretary at least 14 days before the event & acceptance of the booking is at the discretion of the Village Hall Management committee at all times. Please note the hall is for hire from 7am - midnight (Monday to Saturday) & 7am - 11pm on (Sundays), however events must finish an hour before those times due to licencing purposes and the hall must be left clean and tidy for immediate use by others, after the hiring. 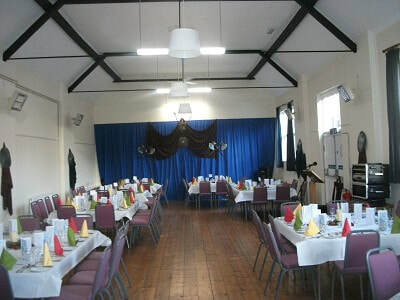 As you can see in the photos below the main hall is provided with tables & chairs as part of your hiring and can comfortably & safely accommodate up to 100 people seated in a variety of layouts & the maximum population of the hall is limited to 120 persons (inc of all attendees, staff & performers etc). 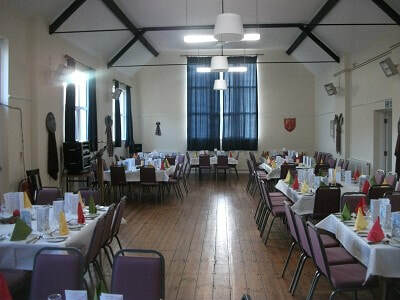 The hall has a stainless steel commercial standard kitchen, with a gas range & oven, fridges, wine cooler, storage space, serving hatch to the corridor, 2 sinks & a wash hand basin, ladies, gents & an accessible W/C, that is all included within your hiring, in addition to a smaller meeting room. 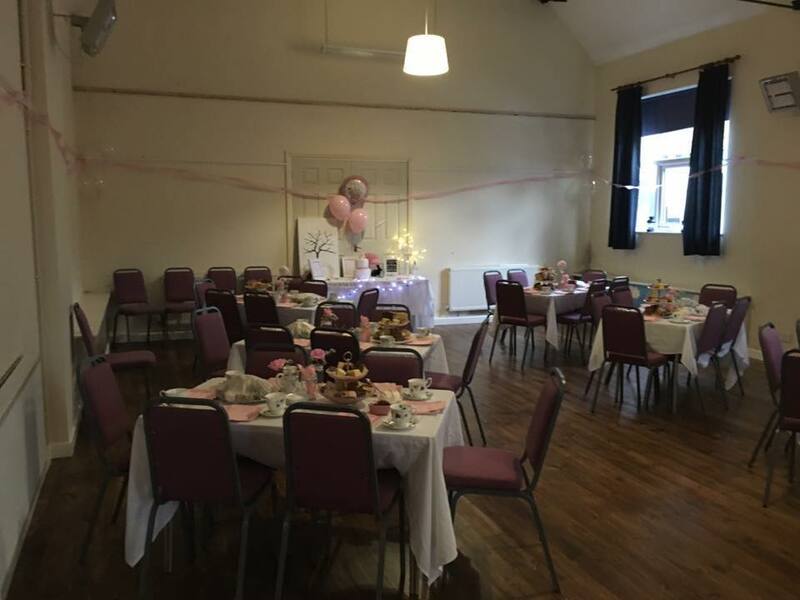 All the tables & chairs can be easily and quickly stacked away, so the hall can be cleared for dancing or your other fun events!